I am finally starting to catch back up. With Boo being so ill, the last thing on my mind was creating jewelry so everything was pushed to the back burner. A couple months ago, I received this gorgeous kit from Andrew Thornton of Allegory Gallery. It was based on women he had seen out in their Red Hat Society outfits and his imagination went on from there. It has a lovely polymer focal that he made along with some vintage lucite, crystals, glass and wood beads. What immediately sprang to mind was a necklace for the Queen of my RHS chapter. Gretchen is a wonderful woman who has welcomed me into the world of Red Hatting. I love it as it guarantees that I do make it out of the house and send time with a bunch of wonderful women. This month we will be going out to a movie and Thai food. 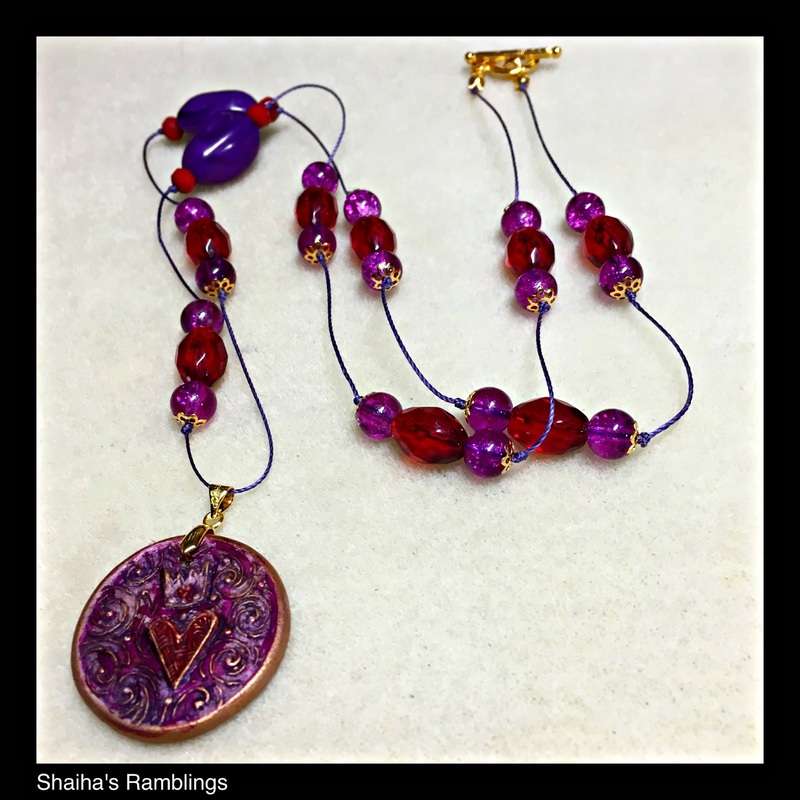 Anyways, this necklace features the lovely polymer focal along with the red crystals, small purple glass beads and some purple lucite. I knotted it on waxed nylon cord so there's no worries about it stretching. 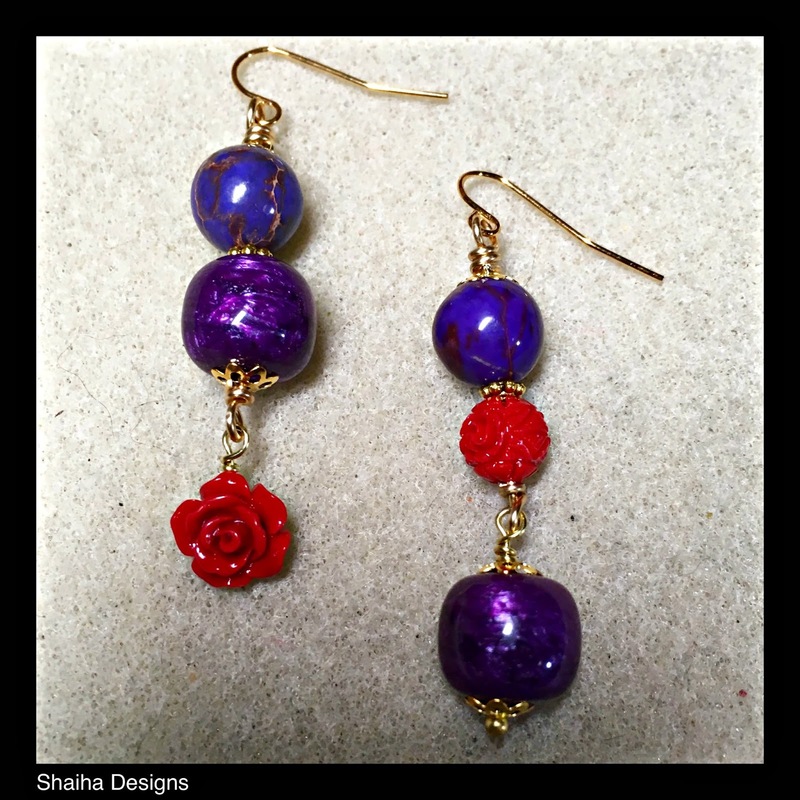 I am trying to remember to always make up a pair of earrings to go with a necklace if possible. This pair isn't exact. In fact, it is akew. 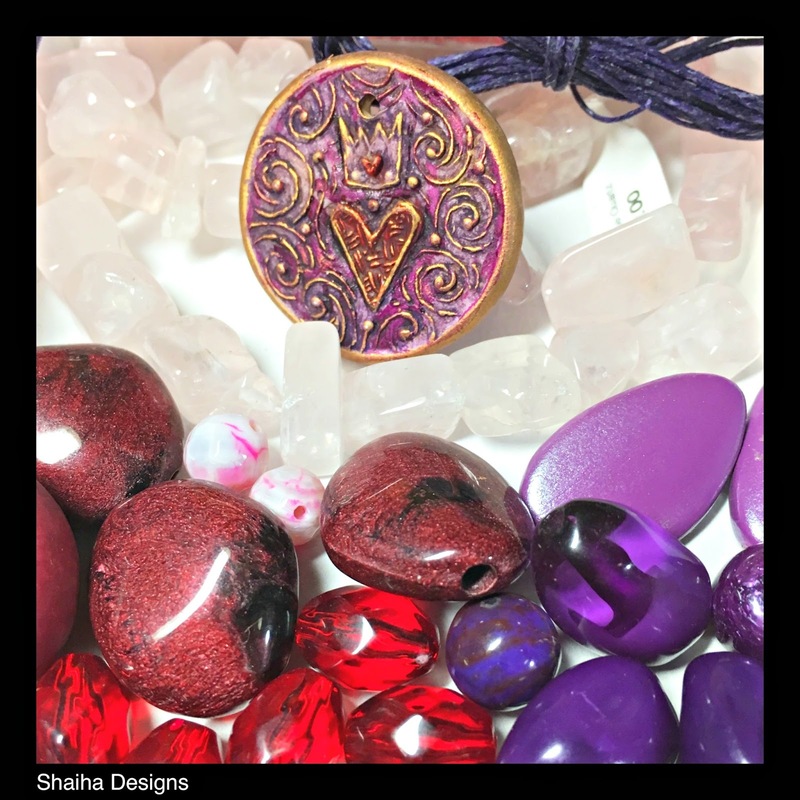 I used some of the purple stones and some more lucite that came with my kit. I did add in some coral roses in both a dangle and a bead so these earrings can be worn with any Red Hat Society regalia. I really like this necklace and the asymmetry of your earrings. Perfect Red Hat wear! I think you've done your Red Hat sisters proud with this set of beautiful creations! They're so full of energy and I like the rhythm you've created in the necklace, with pops of dramatic color broken up by the almost airy cording. Very cool! And I'm glad things are in a better place now and you can make jewelry again!